Want to share a picture of your Rig? Please note that by uploading a picture, you grant Appalachian Toyota Round-Up access to use this image by means of social media, marketing, website, etc. WindRock Park has trails available for all vehicle levels, what trail difficulty level would you like to ride during the event? Do you have an off-road club or group affiliation? Select "Yes" if your Off-Road Club or Group would like to put up a club tent at the pavilion to introduce others to your club. Please list the name of the Vendor or Manufacturer you're nominating for the "Attendees Choice Award"
How many Adult Passenger's (18 & up) are attending in your vehicle? Meals are included. T-Shirts are not included but can be added for child passengers below. How many Child Passenger's (Ages 13-17) would you like to add? How many Child Passenger's (Ages 6 - 12) would you like to add? T-Shirts and food are not included, but can be purchased below if desired. How many Child Passenger's (Ages 5 & under) would you like to add? 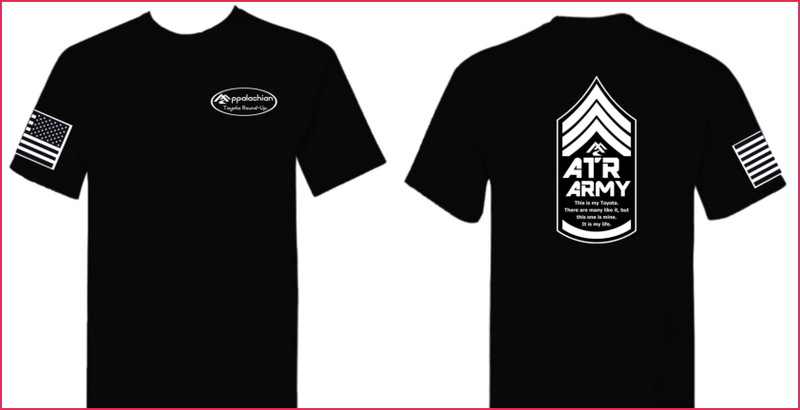 Every registered attendee (ages 18 & up) will recieve an event t-shirt. 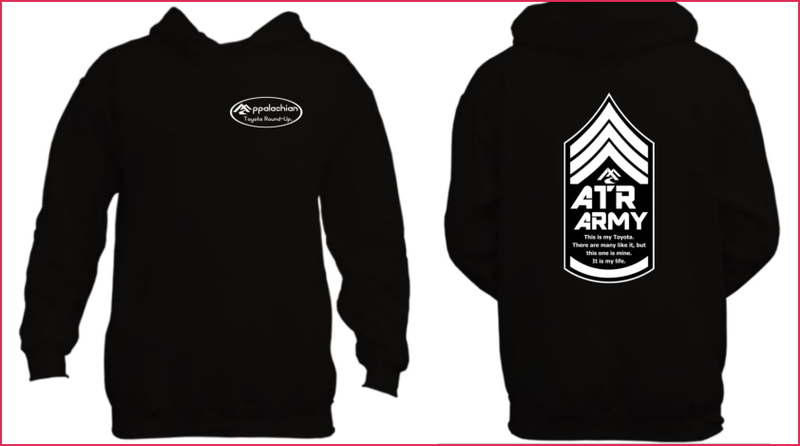 If you would like to purchase additonal t-shirts, please make your selection below. Children 5 & under are free, (Excluding WindRock Permits) but this does not include food for Friday or Saturday night. Please use the option below to purchase meal tickets for them if needed. 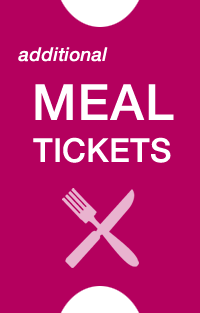 You may also purchase extra meal tickets for adults if extra food is desired.